I stumbled upon WA Imports from shopping once every so often to the museum-like gourmet store (same goes for the prices), Dean & Deluca in the search for unusual marmalades (for spreading on sandwiches, scones, sandwich cookie filling, or serve along on a cheese platter) that D&D stocks frequently. One in particular was from Yakami Orchards yuzu marmalade. I searched for the company’s site and ended up from their importer, WA Imports. This company is an ingredient driven company, partnering with some of the world’s finest artisanal growers and processors that tend to skew toward Japanese brands (Yakami Orchards and Hotaru Foods are represented by WA). I ended up getting a bunch of WA’s unusual yet sublime products to experiment at home. 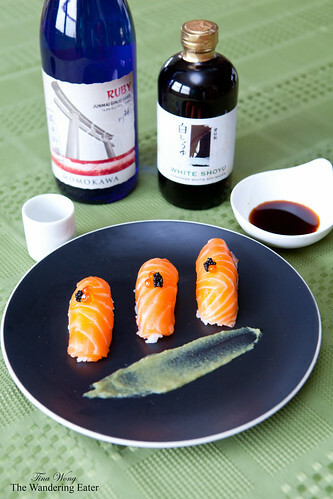 For example, Takumi Shoyu‘s White Shoyu (this is considered the best of the best in soy sauce) is perfect for delicately flavored food like sushi and sashimi. I have tried Hotaru Foods’ yuzu wasabi for my maki rolls for a different dinner and the flavors were explosive. The wasabi was not as sharp as the typical wasabi in a tube or powdered form found in the States (it’s really horseradish with green food coloring) and the yuzu’s lemon-orange flavor washes in your palate after the kick of heat. It’s a wonderful experience. 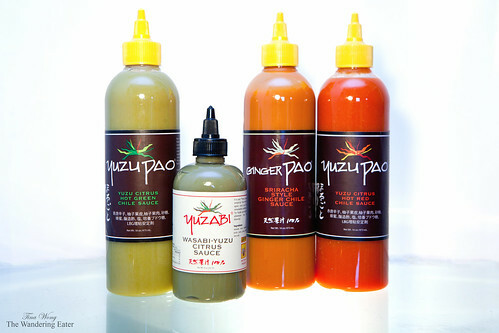 The Yuzu Pao, a yuzu-infused hot chile sauce that I used for a ramen dish for a different meal with my mom one night, made my mom have a childhood memory trip taking her back to food on the streets of Hong Kong. She said it makes her think of a random restaurant or stall that serves freshly made steamed rice noodle rolls with a generous squirt of this moderately acidic, fiery chile sauce (traditionally, it would be sriracha sauce) was sublime heaven to her. 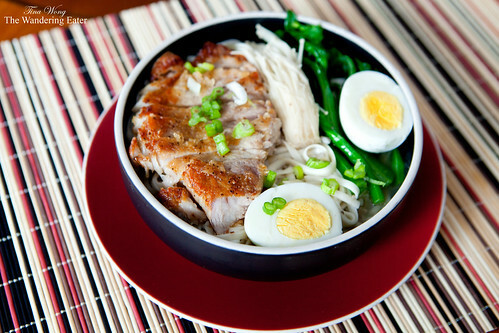 Having said that, this made my mind thinking I should embark on making homemade rice noodle rolls. 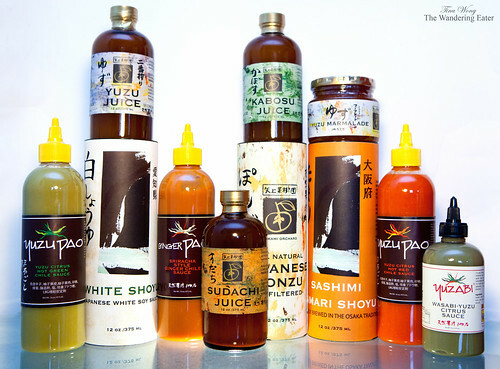 I’m still thinking of what I can do with the kabosu and sudachi juices and ponzu juices and translating it to the American palate. Sure, I can find some Japanese recipes on them but being the experimental food lover that I am, it won’t make me happy unless I have a hankering to do such a thing – which, I don’t right now.